DUBLIN - Teamster members gathered holding candles before sunrise Wednesday morning. It was a vigil to bring attention to opioid addiction. The vigil was held in front of the wholesale distributor, Cardinal Health in Dublin. 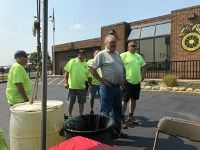 The shareholders met today, but teamster members gathered to also send a message to the company. Teamster leader, Ken Hall says it's an issue that is killing people. Cardinal Health is under fire from the Ohio Attorney General who claims the company and other distributors are responsible for the opioid epidemic that is sweeping across Ohio. The family of victims who died of drug overdoses were present and wanted their voices to be heard. Brenda Ryan was one of them. Her daughter, Sheena died of a drug overdose at the age of 31. Brenda says her daughters’ addiction to opioids started after taking prescription drugs. Several representatives from the Teamster union addressed Cardinal Health shareholders today asking them to establish an independent committee that investigates the company's business practices. They also asked Cardinal Health to take greater accountability for the companies’ role in what the Ohio Attorney General says is fueling the opioid crisis in Ohio. 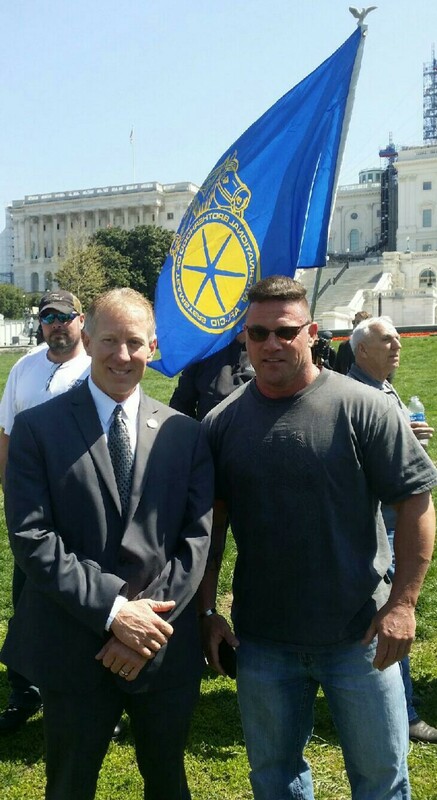 Travis W. Bornstein, President of Teamsters Local No. 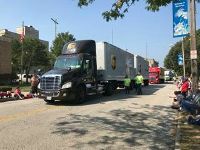 24 coordinates with community leaders, YRC Freight and the Ohio Conference of Teamsters to send a load of supplies for hurricane relief to Rockport, Texas. This load will go to the Rockport Police Department to directly support First Responders. JOINT COUNCIL NO. 41 SCHOLARSHIP!!! 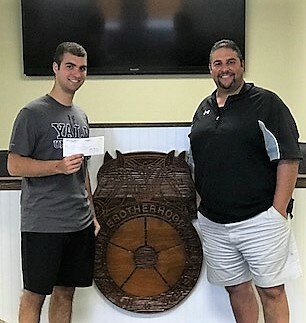 Hunter Contos is the son of Steve Contos (YRC Freight). Hunter will be attending Yale University in the Fall. For the record, Don Robinson knows exactly when and where his personal and professional milestone happened: 9 p.m. on Oct. 8 in the northbound lane of I-71 in Ohio. Mile marker 178, to be exact. That placed veteran truck driver Robinson and his YRC tractor-trailer just a bit north of Mansfield when he reached 4 million accident-free miles. To put it another way, Robinson has driven a truck the equivalent of 160.6 times around Earth’s equator without getting into an accident that he caused. “You have to pay attention to what you’re doing,” said Robinson, a Green resident who also teaches driving safety for YRC Worldwide. He and his wife, Sue, have five children between them. Robinson has been with the company 38 years, starting out with YRC predecessor Roadway Corp. in Akron. He’s a third-generation trucker: His grandfather worked with Roadway’s co-founder Galen Roush, and his father was also a driver. 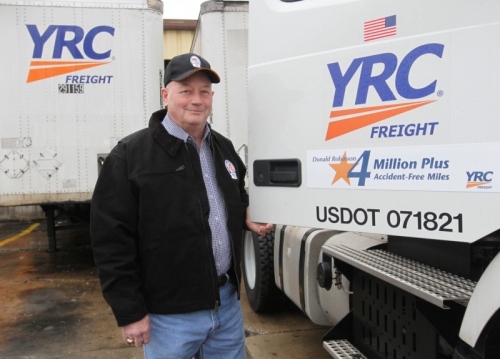 Just 24 of Kansas-based trucking company YRC Worldwide’s 11,500 drivers have reached the 4 million-mile accident-free marker, said Howard Moshier, YRC’s senior vice president of operations. Moshier was at YRC’s freight terminal in Copley Township on Tuesday to help celebrate Robinson’s rare accomplishment. 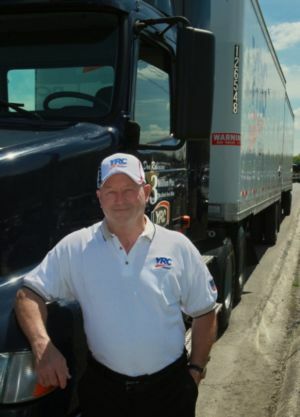 In addition to all the accident-free miles he’s collected, Robinson also has the 2012 Driver of the Year award from the Ohio Trucking Association and is in the inaugural class of the YRC Driver Hall of Fame. 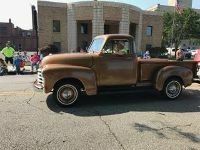 The 1974 Ohio State graduate also works with the Ohio Highway Patrol on training and awareness programs. 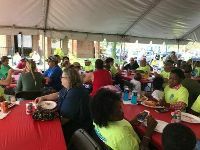 Robinson’s co-workers celebrated with him over breakfast and cake Tuesday at the Copley terminal off Oh Avenue. “It’s Don Robinson Day every day,” joked one driver after shaking Robinson’s hands. Robinson said he practices what is called the Smith System of defensive driving, a program that dates back to 1952 and teaches five key factors to help drivers stay alert and vigilant. Robinson teaches the Smith System to new drivers in addition to practicing it himself on his regular daily route, which takes him and his 2009 Volvo tractor from Akron to Indianapolis and back. His 14-hour day starts at 5 a.m. and ends at 7 p.m.; 11 hours of that is on the road. That’s not to say Robinson has not been in accidents. “I’ve had people hit me,” he said. He’s also hit deer. “I don’t have any preventable accidents,” Robinson said. He attributes that to his training and also to luck at times. Everyone, not just truck drivers, needs to be alert and practice safety on the roads, he said. He said it is more challenging to drive now than when he started out nearly four decades ago. 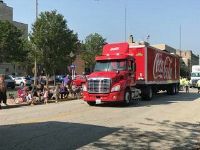 That’s in part because there are more trucks on the road as well as more drivers of all types ­— many of whom are distracted by using such things as cellphones. Robinson turns 65 on Friday and hopes to keep driving for years to come. “I’m not ready to retire,” he said. Robinson also has another goal he hopes to reach: 5 million accident-free miles. So far, just one YRC driver has reached that level. Based on his average of driving 141,000 miles a year, Robinson estimates it will take at least seven-plus years to reach 5 million accident-free miles. WHEREAS, prescription pain killers are the most abused drugs in the United States, with more than three times as many Americans dying from them than illegal drugs. FINALLY, BE IT RESOLVED that the Teamsters encourage government at every level to increase treatment options for all those afflicted by the disease of addiction. 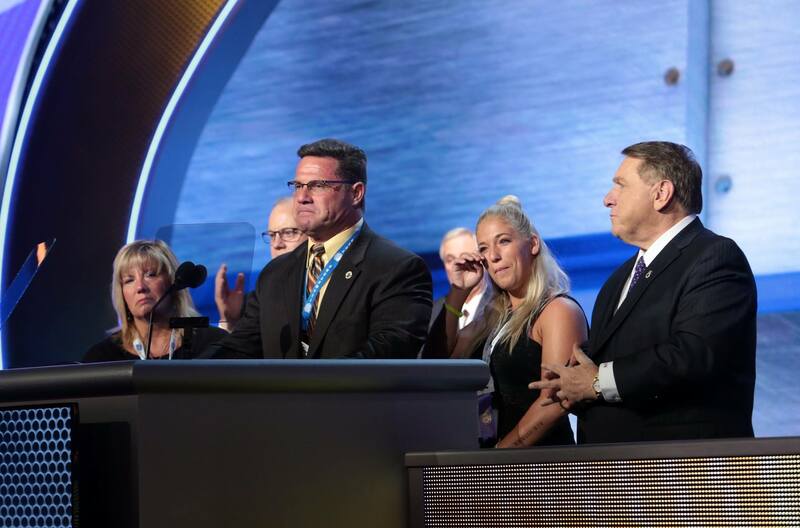 (LAS VEGAS) – Today, Teamsters at the union’s 29th International Convention pledged more than $1.4 million to the fight against addiction. 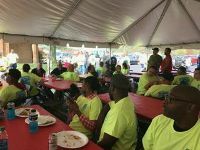 The International Union, Joint Councils and local unions showed tremendous support after hearing the story of the Bornstein family from Akron, Ohio. 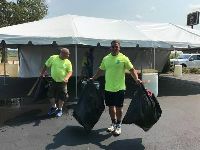 Travis Bornstein, President of Teamsters Local 24 in Akron, spoke to the thousands of Teamsters about the loss of his son Tyler to a drug overdose. Tyler, an accomplished college student and athlete, became addicted to drugs after being prescribed pain medication for injuries. After Tyler’s death, the Bornstein family formed “Breaking Barriers – Hope is Alive” in his honor. 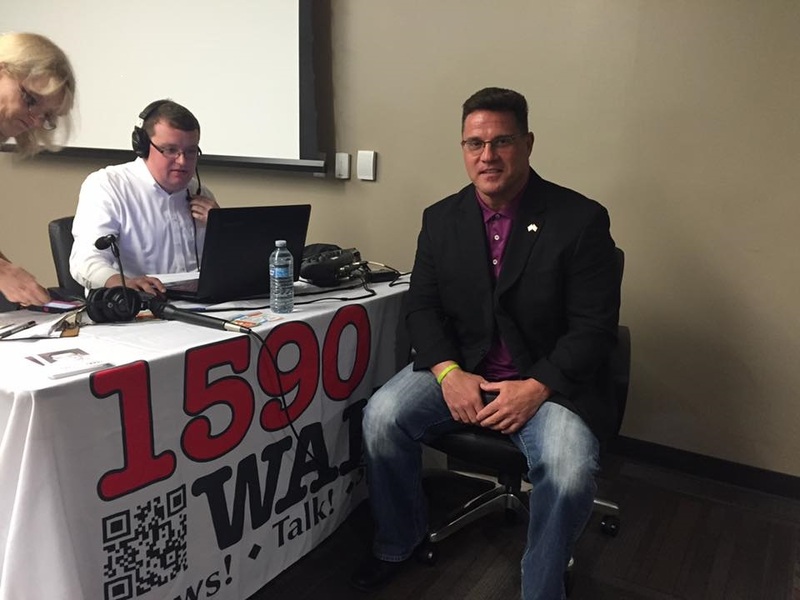 The 501(c)3 non-profit organization brings awareness, educates the public and inspires breakthroughs in treating people suffering from addiction. Every 19 minutes in the U.S. someone dies from a drug overdose. A long line of Teamsters from throughout North America lined up at the microphone for over an hour, each pledging their financial support. They also shared emotional personal stories of loved ones who are battling or who have lost the battle against addiction. 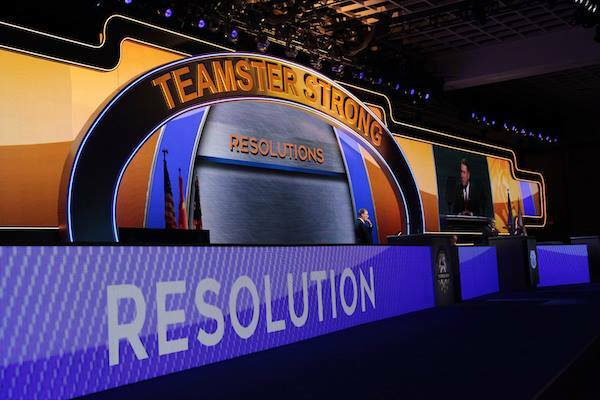 Other business during the third day of the convention included the passage of a resolution in support of continuing work to protect the retirement security of Teamster members and retirees. 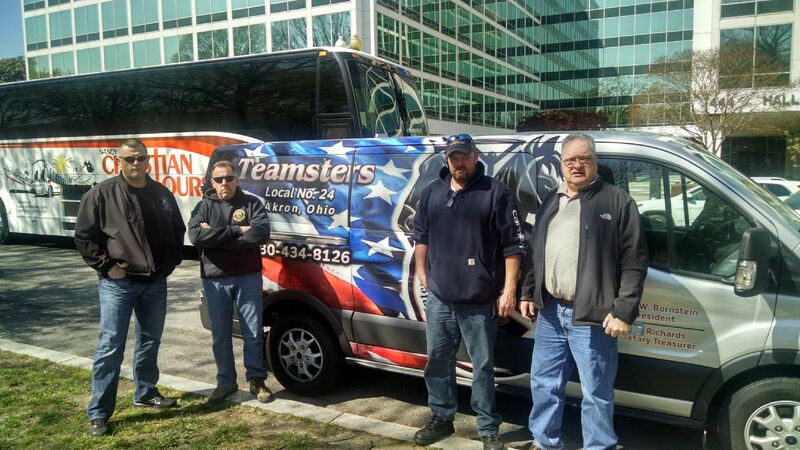 The Teamsters’ organizing success in the school bus and transit industry, as well as the airline industry, was featured. Convention participants heard messages of solidarity from Hassan Yusseff, President of the Canadian Labour Congress; Dennis Williams, President of the United Auto Workers; and Ariel Jacobi, General Secretary of the Israeli union IUGE. Nominations for regional vice presidents were held earlier in the day. The International Convention, held every five years, is the supreme policymaking body of the union with the power and authority to modify the Constitution, establish programs, address fiscal issues and set priorities. This week, delegates will consider constitutional measures and resolutions. Delegates will also nominate candidates for the International offices of General President, General Secretary-Treasurer, Vice Presidents and Trustees. 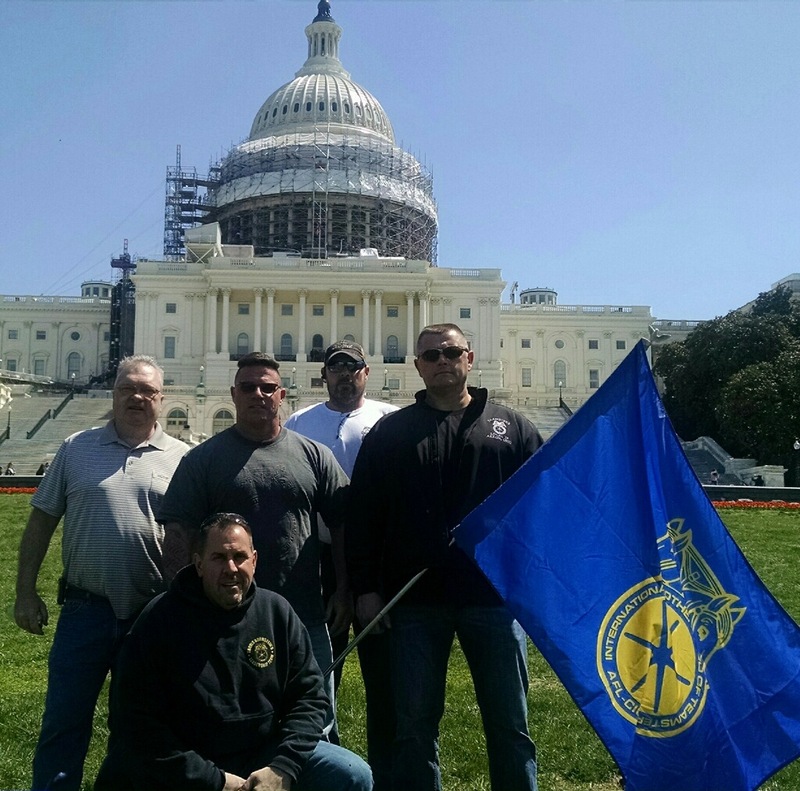 Founded in 1903, the Teamsters Union represents 1.4 million hardworking men and women throughout the United States, Canada and Puerto Rico. Visit www.teamster.org for more information. 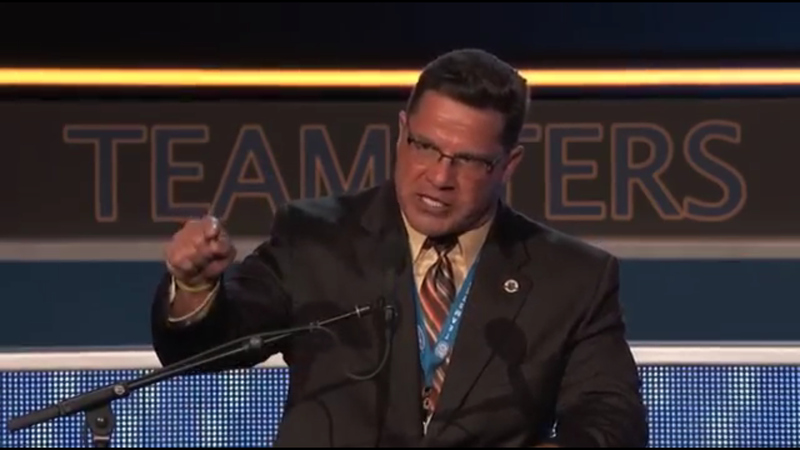 Follow us on Twitter @Teamsters and “like” us on Facebook at www.facebook.com/teamsters. 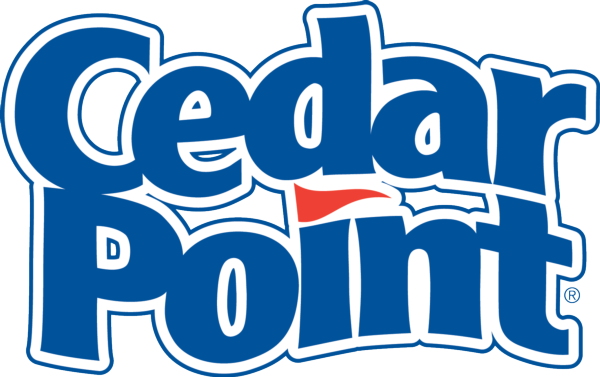 Cedar Point Discount Tickets are now available at the Joint Council 41 Office located at 6051 Carey Drive, Valley View, Ohio 44125. You now have the option to purchase discount tickets at the office or online. To purchase tickets on line go to: www.cedarpoint.com/affiliates or click on Cedar Point/Soak City Discount Tickets in the left column on this main page. You will need the Username: TJC41 (ALL CAPS) and Password: teamsters2016 (lower case) to log in. You the member can now click, pay and print your own tickets including fast passes, parking passes & meal plans. Please note: Processing Fees apply with on-line ordering. 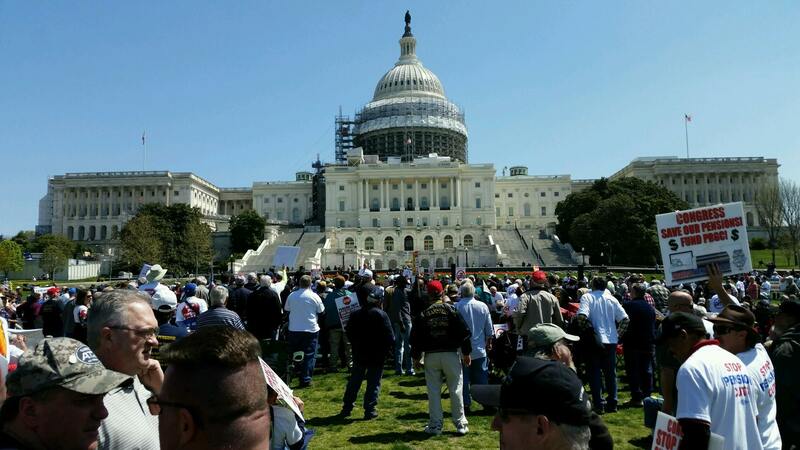 (WASHINGTON) – Thousands of Teamster retirees from across the country joined together at a rally at the U.S. Capitol today to protest the proposed cuts to their pensions by the Central States, Southeast and Southwest Areas Pension Fund (CSPF). 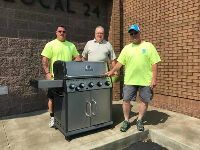 The retirees received pledges of support from more than a dozen members of Congress in their fight to protect their hard-earned pension benefits. View photos from the rally, here. CSPF filed an application for cuts to the Treasury Department in September 2015 as allowed under the Kline-Miller Multiemployer Pension Reform Act of 2014 (MPRA). Treasury appointee Ken Feinberg has until May 7 to approve or reject the application for benefit reductions. The cuts will devastate the lives of thousands of retirees who worked for years to earn pensions that could be cut as much as 60 percent under the CSPF plan. Rita Lewis, widow of retired Local 100 president Butch Lewis, spoke passionately about her husband’s commitment to stopping the CSPF cuts before his death and called for Congress to put aside party differences to help the thousands of retirees at risk. Members of Congress turned out to throw support behind the retirees’ fight against the cuts. In February, a bipartisan collection of 90 House members signed onto a letter sent to the Treasury asking it to reject Central States application. And 25 senators, both Republicans and Democrats, did the same in a separate letter. Never underestimate the power of a personal conversation. Research shows there’s a way to talk about right to work that gets beyond the clever messaging. Since 1955, corporations and millionaires have been trying to confuse and manipulate workers into giving up our rights through something called Right to Work. . As early as 1959, Eleanor Roosevelt stood up against Right to Work because “it does nothing for working people, but instead gives employers the right to exploit labor.” This is the message: Right to Work isn’t what it seems. Politicians backed by billionaires and anti-worker corporations try to make the issue as complicated and confusing as possible, but we are not fooled. Right to Work takes away the freedoms – and paychecks – of workers everywhere. Just by living in a Right to Work state, the average worker gives up $1,540 in salary every year. Across America, states with Right to Work laws have higher unemployment and lower pay. That’s exactly what the corporate interests want. They want to use Right to Work to destroy unions that stand up for workers across the country. They want Right to Work to ship more jobs overseas, rig the tax system and demand more work from employees while treating them with less respect. Right to Work laws eliminate freedom and flexibility for workers. Workers lose job security, good-paying jobs and health insurance in Right to Work states. Without serious workplace representation, Right to Work states even face a 15 percent higher chance of infant mortality and have a 36 percent higher rate of workplace deaths. Right to Work means more pressure on struggling working-class families, not less. The National Right to Work committee was founded in 1955 to push this agenda. Right to Work is pushed by ALEC, the lobbying organization backed by the Koch brothers, chambers of commerce, and “think tanks” like the Mackinac Institute in Michigan, which are funded by billionaires and which to promote propaganda disguised as nonpartisan or “conservative” studies. Don‘t be fooled by the corporations and the billionaires. Right to Work is an unfair attack on the working class that strips millions of Americans of their freedoms at work. For more information on what Right to Work has or wants to do in your state, check out this Right to Work impact fact sheet and a FAQ from the Minnesota AFL-CIO. 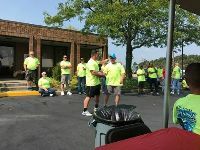 "The 61-year-old Green resident, who works for YRC Freight, was recently named the 2012 Driver of the Year in Ohio by the Ohio Trucking Association in Columbus. He is just one of 31 drivers to win the award since it was instituted in 1981." 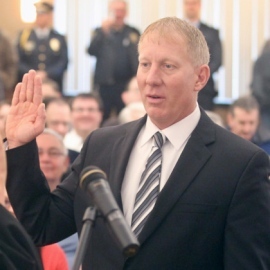 CUYAHOGA FALLS: More than 400 people crowded New Year’s Day into the Cuyahoga Falls Natatorium ballroom to witness Don Walters, the city’s first newly elected mayor in 28 years, take the oath of office.